University of Akron Press, 9781931968744, 88pp. These are vivid, visceral poems about coming of age in a place 'where the Ferris Wheel / was the tallest thing in the valley, ' where a boy would learn 'to fire a shotgun at nine and wring a chicken's neck / with one hand by twirling the bird and whipping it straight like a towel.' . . . In spite of such hardscrabble cruelties"or because of them"there is also a real tenderness in these poems, the revelations of bliss driving along an empty highway 'like opening a heavy book, / letting the pages feather themselves and finding a dried flower.' . . . The poet has a gift for rendering his world in cinematic images. . . . In short, these poems are the stuff of life itself, ugly and beautiful, wherever or whenever we happen to live it. "Martin Espada. 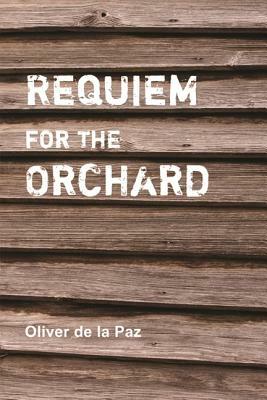 Oliver de la Paz is the author of two previous collections of poetry, Names Above Houses and Furious Lullaby, published by Southern Illinois University Press. He is the co-chair of the advisory board for Kundiman. A recipient of a GAP grant from the Artist Trust of Washington and a New York Foundation for the Arts Fellowship, his work has appeared in anthologies such as Asian American Poetry: The Next Generation and Language for a New Century: Contemporary Poetry from the Middle East, Asia, and Beyond, as well as in journals such as the Virginia Quarterly Review, Diode, Crab Orchard Review, Chattahoochee Review, and Hayden's Ferry Review. He teaches creative writing and literature at Western Washington University in Bellingham, Washington.